Large Intestine 20 – This point is located bilaterally on the face, on either side of the nose, in the middle of the nasolabial groove. Large intestine 20 is used to open nasal passages and clear heat from the sinuses. Lung 5 – Lung 5 is located at the end of the outer crease of the elbow, just to the outside of the tendon. This point opens up the airways and the throat, while reducing wheezing. As you can see, TCM is a great way to deal with allergies. Contact your local acupuncturist to see what they can do for you. 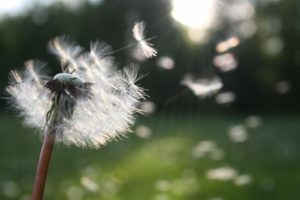 In 2013, the Annals of Internal Medicine published a study looking at 422 seasonal allergy sufferers who presented with rhinitis, or hay fever, and who had tested positive for pollen allergies. The volunteer patients were split into three groups. 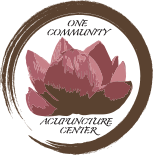 The first group received acupuncture treatments and took antihistamines as needed. The second group was given fake acupuncture (acupuncture needles inserted in random places unrelated to treating allergies) and also took antihistamines as needed. The third group only took antihistamines and did not receive any acupuncture. After the treatment, all the participants completed a questionnaire to assess any changes in their perceived quality of life as well as their need to use antihistamines. From the initial analysis published in 2013, the results were inconclusive. Initially, acupuncture had a significant, positive effect on the group that received true acupuncture treatments. Patients reported their rhinitis improved and they needed less medications. However, so too did the group that received fake acupuncture, suggesting there was a significant placebo effect and that people went into the treatment believing acupuncture would help their symptoms. The third group reported no improvement in their symptoms or medication use. After eight weeks, the patients filled out a follow-up questionnaire. Both patients in the true and fake acupuncture groups reported their symptoms had returned two months post-treatment. In June, 2018 a group of researchers published a second analysis of the results of this previous 2013 study, focusing on the patients’ use of antihistamines 8 weeks after the treatment. This time, they analyzed the results of 414 of the original 422 patients, presumably because some of the questionnaires were incomplete or another factor surfaced that made the data from eight of the patients unusable. The researchers found that eight weeks after their acupuncture treatments, the group that received true acupuncture used antihistamines to mitigate their symptoms significantly less than those in the group that received fake acupuncture – a difference of about five days. Additionally, 38 percent of the group that received true acupuncture weren’t using any antihistamines at all. Comparing the pre-treatment antihistamine-use of the patients with the post-treatment antihistamine use showed the group that received true acupuncture did not need to increase the number of days they used antihistamines, unlike the other groups. 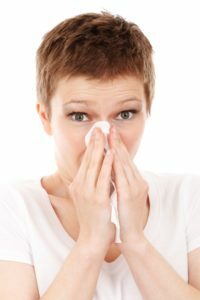 It is hard to definitively say that acupuncture will cure seasonal allergies for every patient with hay fever symptoms. However, this research shows it can decrease the need to mitigate symptoms with antihistamines. More and more people are turning to acupuncture as a safe alternative to frequent use of chemical medications. Unlike habitual use of medications, there are no dangerous side effects associated with acupuncture. Today, about 18 percent of Americans use acupuncture to treat allergy symptoms. As opposed to the patients in the clinical study discussed above, people who seek acupuncture treatments from a licensed practitioner in their area can expect a holistic treatment plan tailor made for them. Acupuncturists will offer dietary suggestions as well as Chinese herbal medicine options to accompany the work they do with acupuncture needles. By looking at your specific sensitivities and lifestyle, traditional Chinese medicine has the chance to alleviate seasonal allergies as well as support you in finding a healthier life overall. Aches, pains, fatigue, constipation, skin tags, stress, anxiety, colds, bad breath, sleep apnea, muscle soreness, etc. The list of the everyday ailments many people face is endless. And the medical profession is cashing in on all of it. Why? Because we’re programmed to believe our family doctor has a pill or procedure for everything. But that’s just not true and more importantly, how many pills are you willing to take every single day? Or how many procedures are you willing to undergo? Pills and procedures have side effects, and some can be quite harmful. Many of the pharmaceuticals we’re now familiar with are derived from naturally-occurring substances. For instance, aspirin was originally derived from the bark of the willow tree and written about by ancient Egyptians. Now, most of the “cures” we use daily are man made in a factory somewhere, using chemicals that tend to be toxic to our bodies when used long term. But there are always alternatives. Here are some everyday ailments and the alternative/uncommon cures that have been documented over the past few decades. Muscle pain and soreness – This common affliction can be treated using cherries or cherry juice. A recent study at the University of Vermont showed drinking 12 ounces of cherry juice twice daily led to faster muscle pain relief. This is because cherries contain inflammation-fighting antioxidants that help ease muscle achiness. The juice also has a positive side effect of helping insomnia sufferers fall asleep more quickly. Sleep apnea – According to the National Sleep Foundation, this ailment affects more than 18 million American adults. Sleep apnea is a disorder caused by flabby throat muscles and tends to be exacerbated by those carrying extra weight. A recent study published in the British Medical Journal listed a surprising way to decrease sleep apnea….blowing on a didgeridoo. Yup. Those long wooden trumpets used by the aborigines of Australia can actually help ward off sleep apnea by strengthening the muscles and tissues in the throat and mouth. When these muscles are strengthened, there is less chance of the tongue obstructing the airway. Obviously, this one takes some time to see results, as the muscles and tissues have to build up over several months. Skin tags – These common skin growths that stick out from the surface of the skin can be large or small, flat or rounded and affect nearly three million United States citizens each year. While these little annoyances can be removed by a doctor, there is no need. Apple cider vinegar works well at removing these unsightly blemishes. By simply soaking a cotton ball in apple cider vinegar and then covering the skin tag with the cotton ball and a bandage a couple of times per day, the tag will eventually dry up and fall off. There are many different approaches to treating everyday problems and afflictions, there are even books written about the subject. 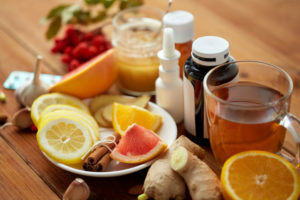 While many of these “home remedies” are available for anybody to try, it is recommended to do research before taking the leap. You might be surprised how easy it is to “cure” yourself using uncommon and unconventional methods. Getting enough truly restful sleep is one of the most biggest factors in staying healthy and balanced, mentally and physically. Actually sleeping enough is much easier said than done for a lot of people, though. Our busy lives can prevent us from placing a premium on sleep, and anxiety and a restless mind are commonly linked to poor sleep as well as sleep apnea.